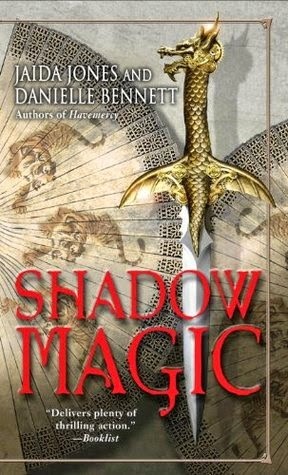 With their only ally an exiled prince now fleeing his brother’s assassins, the countryside rife with terror, and Alcibiades and Caius all but prisoners, it will take the most powerful kind of magic to heal the rift between two strife-worn lands and unite two peoples against a common enemy: shadow magic. How is this book under M/M romance or even GLBT? There is no romance in this novel. Yes there is the build up of will they won't they but then no reward! ?? Hanet wrote on Goodreads that she felt like the entire story was composed exclusively so that fan fiction could be written about it later and I completely agree ,I want to go and write my ending where we get to see Casius and Alcibiades living together on the farm (and don't worry thats no spoiler because it doesn't happen.) I really wanted these two to be together and this is what kept my noise glued to the book as I devoured it, and I did devour it, and I did enjoy it, I just feel a little led on and felt like I deserved a more rewarding ending. An ending which the books genre promised me. What I did love about Shadow Magic was that we got to explore more of the Ken-Han empire which is so much like ancient Japan, and I loved it. I loved the customs and the acts of honour, and I could almost see it as being adapted into an anime, which I would love. This tale is relationship driven rather than plot driven but don't get me wrong, this is a positive note and the plot flowed well too, almost better than Havemercy. However with the sexual tension building up between Casius and Alcibiades, and Mamoru and Kouje I felt I didn't get what the book promised me. Even though I love the scenery and the world building I do not think I will be carrying on with this series. I think I will by leaving the series on a high note rather than struggling with the next to books in this series.